pugs of the frozen north: guardian draw-a-pug! The Guardian asked if they could airlift me in to draw them some pugs... Read the whole thing here! 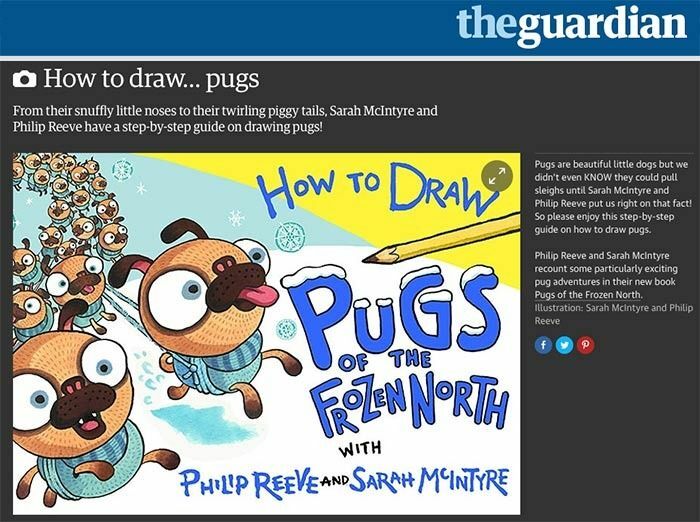 And Guardian Books are selling Pugs of the Frozen North in their online shop here. You can find out more about the drawings over on the Oxford University Press blog!